What is the Onsight admin console? The Onsight admin console is where you upload, update and manage all of your products, customers and orders. 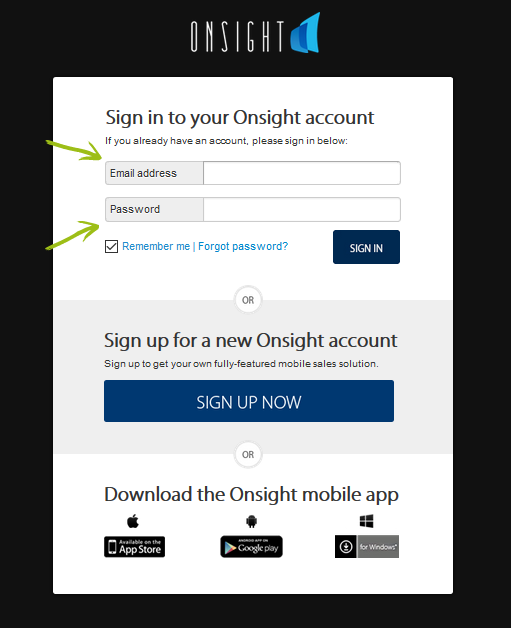 To get started, go to https://web.onsightapp.com and sign in with the email address you used to create your Onsight account and password.